Imagine a world where your doughnut is wrinkly and dry, your scone is bereft of its fruity topping and your buttered toast is in a sad and sorry state. 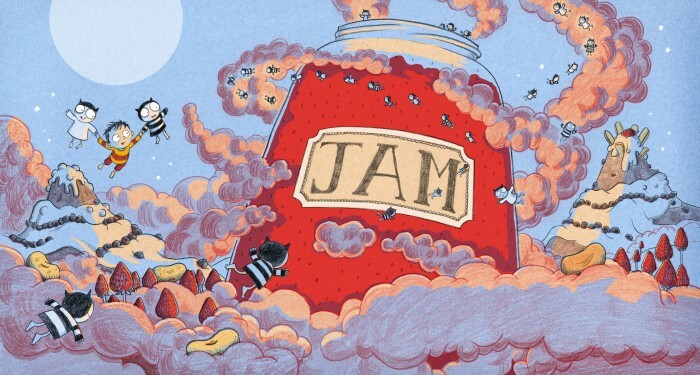 Imagine a world that is JAM-LESS! 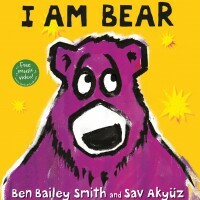 That is the witty premise of this book as jam-loving Sam discovers that someone is stealing the jam from his beloved doughnuts – and he is not happy about it. Setting a cunning trap, he’s in for a surprise when he discovers the culprits are two cute little jampires with pointy ears and fangs. And the reason for their pilfering? They’ve strayed far from their home and munching on jam is their comfort food. 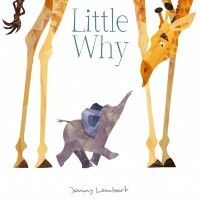 Deciding to solve two conundrums at once – reuniting the jampires with their loved ones, and ensuring Sam’s beloved doughnuts retain their juicy jamminess – they set off to the Land of Jampires, far, far away. 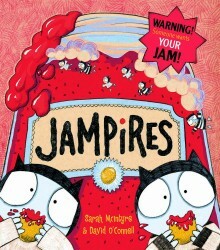 A charming, funny adventure that any sugar-loving kid will appreciate, the story pays homage to the great vampire lore where the culprits appear with bloodstained fangs – only in this case young readers are treated to a much more palatable alternative with cute jam-smeared vampire bats. Also worth mentioning is that this is a true collaboration between two author/artists started life as a ‘jam’ of a different sort, with Sarah and David taking part in an online comic jamming session. 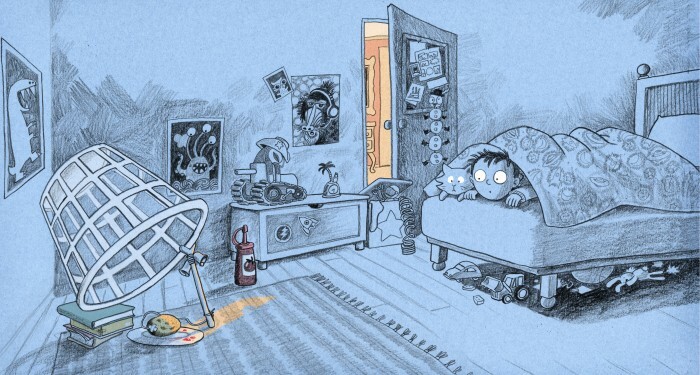 David drew the initial pencil roughs and Sarah created the final artwork; they also passed the story back and forth over several days to develop the witty narrative and rhymes. *** GOT A TASTE FOR JAMPIRES? 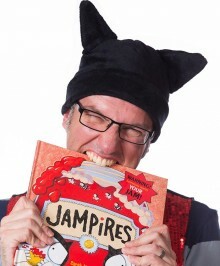 *** Visit the Jampires website for kids activities, including making Jampire masks, finger puppets and ‘How to draw a Jampire’ masterclass. Did you know? Bats are the animals most often associated with vampires, but there are also vampire moths, vampire catfish, vampire snails and a vampire finch. Fun fact The vampire squid may well be the most inappropriately named animal in the world. It is more closely related to octopuses than squid, but is neither, belonging to its own order, Vampyromorphida. Nor does it drink blood; rather, it feeds on small crustaceans and fish and spends most of its time hanging motionless in the water. 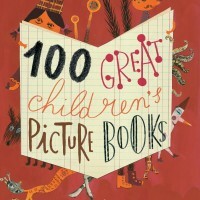 Author notes Sarah McIntyre is one of the most prolific and exciting author/illustrators working today. 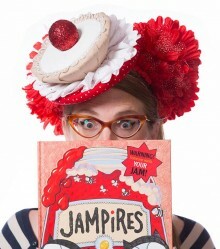 She has published several award-winning and best-selling books, including Morris the Mankiest Monster and Oliver and the Seawigs. Sarah was also chosen as the illustrator for the annual Summer Reading Challenge in which millions of children take part every year via UK libraries. Sarah is mad about raspberry jam, loves incredible hats and wigs which she often makes herself, and adores making comics with her friends. David O’Connell is a writer and illustrator living in south London. He created the Monster & Chips series of books and is also writing and making lots of picture books. 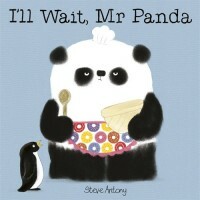 He loves comics and regularly organises comic-making workshops at festivals and in schools. He also edits the comic anthology ink+PAPER.